Life is not just about existing. Life is about creating the world you want to live in. This is where martial arts is so beneficial for everybody. Other than the fact you learn effective self-defence skills and get incredibly fit, you develop the discipline and courage to keep moving towards the things that are important to you and your family. 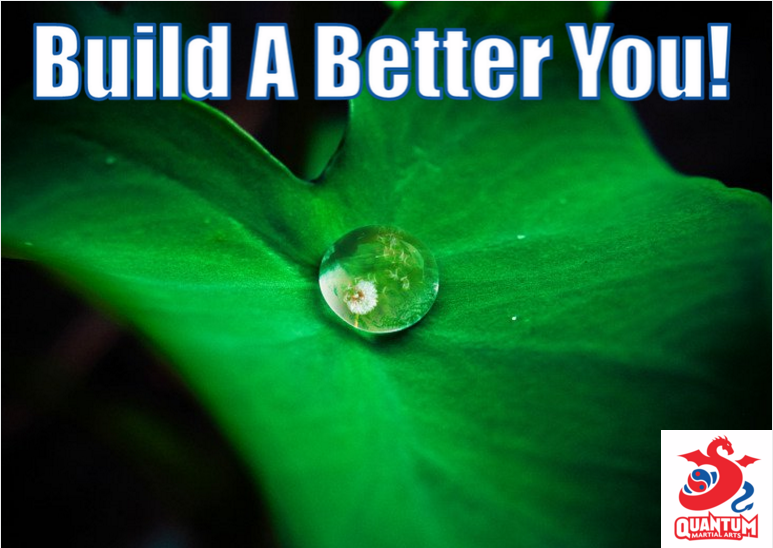 In other words, you “build a better you”. It’s funny, but 2016 already feels like a distant memory. It does not have to be this way. Try to not forget your achievements, whatever they may be, from 2016. Instead of writing New Year Resolutions for 2017, I personally find it more beneficial to write down a list of accomplishments from 2016. This in itself can be motivating, as we sometimes forget to congratulate ourselves on the good work we do. Instead of stressing out about future goals, simply be thankful for what you have and what you are achieving now. It will help you approach 2017 with the happiness and confidence that you can achieve the things that are close to your heart. From a martial arts perspective, I have seen improvement in each and every student and trainer. It may not seem like it, but I do notice and observe everything that is going on. Whether it is passing a grading, learning new techniques, or providing service to the other students, I can honestly say that everybody made improvements throughout 2016. Everybody, in their own way, built a better them. Keep this momentum going throughout 2017. The older I am getting, the more I am realising that my life’s work revolves around martial arts. I genuinely feel joy when in the dojo. It is my “happy place”. I love helping all of the students in their martial arts training. I am always appreciative of the kind words I receive from students and parents. I still train every single morning. I am still involved in martial arts classes most nights of the week. More importantly, I am still learning in every single workout / martial arts class I am in, whether it be physically, mentally or emotionally. This helps me maintain my character and become a better teacher. And that is what I want to be to all of the students…a better teacher and mentor. There has been a lot of changes and learnings since Quantum Martial Arts took over the management of North Sydney. However, I feel that we have built a strong base and now is the time to really branch out and flower. I feel that way because our over-arching principle is to do what is best for our students. We have trainers who genuinely care for all of the students. I cannot ask for more than that. Martial arts is built around service to others, and we have a dedicated team willing to help out all of the students all of the time. I am also looking forward to teaching more children and adult classes this year, as it is a genuine privilege for me that you trust me to help you. Speaking of training, we are starting the All Stars class, aimed at 14-16 years old children. In addition, I will also be including high-performing Super Stars in this class. Initially, it be 5.15pm on Friday nights, commencing 3 February. We are also starting children’s classes at Woolloomooloo on Tuesday and Thursday afternoons. There will also be lots of videos and syllabus material, so watch this space. Everybody always has the best intentions to “build a better you”, however there are always distractions. You know what? These distractions will never stop. Therefore, control of your life all comes back to you. And it all starts with the breath. Slow down, breathe, then focus on what you need to do. This will help guide you towards making the right decisions in everything you do. Have a great 2017 and “build a better you”. I can’t wait to see everybody in class.